Over 7 million prescriptions for Byetta have been dispensed since the drug became available on the marketplace in 2005. Shortly after the medication became available, patients began to complain of side effects. In October 2007, the Food and Drug Administration (FDA) reported that 30 patients that had taken Byetta had developed acute pancreatitis, which is the sudden inflammation of the pancreas. Acute pancreatitis can be a life-threatening condition for patients. Then, in August 2008, the FDA reported that six Byetta users had developed hemorrhagic pancreatitis (inflammation of the pancreas with bleeding) or necrotizing pancreatitis (when the inflamed pancreas destroys itself). All six patients were hospitalized and two of the patients died from the pancreatitis. After these injuries and deaths the FDA advised Byetta's producer, Amylin Pharmaceuticals, to strengthen their warning labels for the drug. The FDA warned the public in 2009, that Byetta users may be at risk for altered kidney function, including kidney failure. Between 2005 and 2008, there were 78 reports of kidney problems with patients that used Byetta, and in 62 of those reports, the patients had renal failure. If patients experience any of these side effects, they need to contact their doctors immediately as these symptoms may be an indication of a serious health condition. If you or a loved one has experienced adverse side effects from Byetta, you may be able to file a Byetta lawsuit. 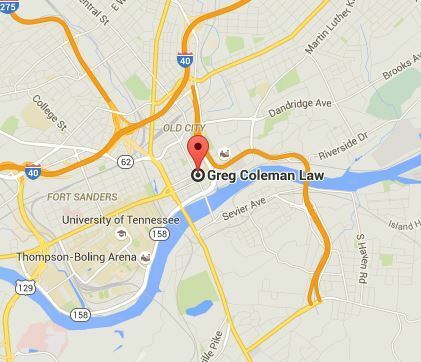 The Knoxville dangerous drug attorneys at Greg Coleman Law are experienced at handling Byetta lawsuits. Contact us today for a free and confidential case evaluation. If our attorneys decide that you have a Byetta injury claim, you may be eligible to receive compensation for your medical bills, pain and suffering and other losses.